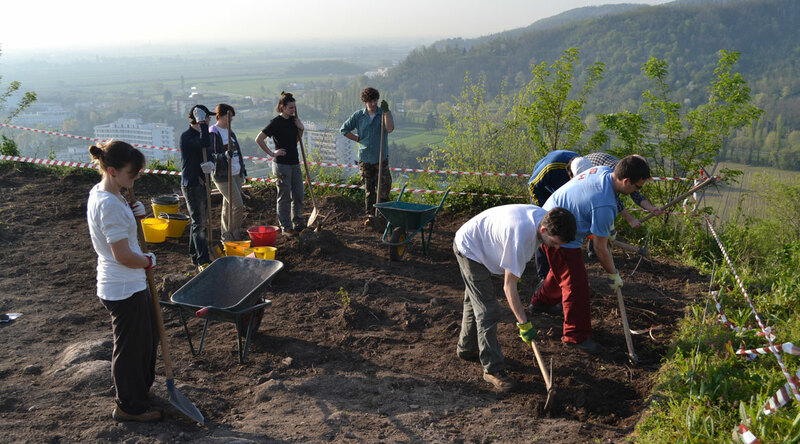 The archaeological excavation at the Montagnon Castle is part of the projects IRAAHL and MEMOLA as a study case of a medieval fortified settlement turned into a rural residential site. The survey area has been identified thanks to the integration of written sources, that attest the presence of a castle from the first half of the eleventh century, with the remote sensing, where the LiDAR images were in fact valuable to identify the main structures the castle, as the outer wall and the moat, preserved in close-up but covered by dense vegetation. The choice of the location of the excavations was carried out after the GPR survey that have allowed us to identify areas in which the layers overlying the bedrock was more consistent and therefore were more likely to be found man-made structures and levels. 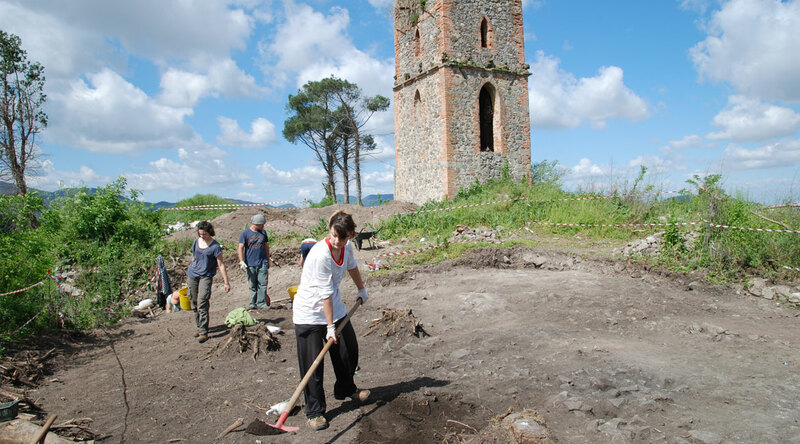 In March 2013, began the excavation works and survey of the structures of the castle and the subsequent rustic villa. New investigations were also doing in April of this year. 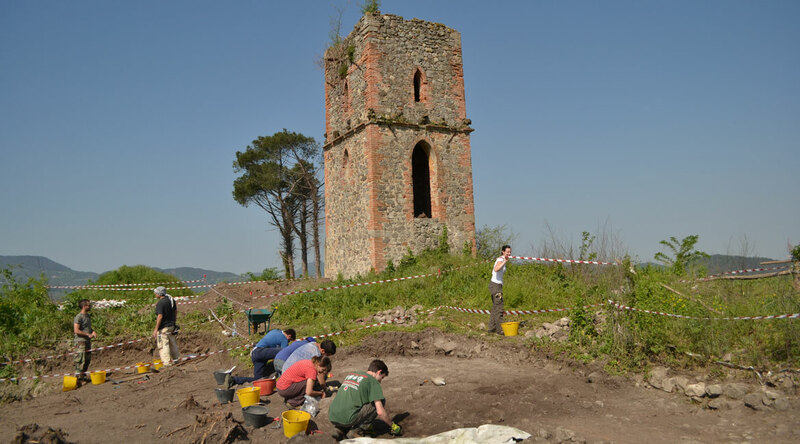 Excavation of the structures belonging to the late medieval rustic villa, with exposure of the walls and floors of use, analysis of stratigraphic sequences and phases that have transformed the defensive structures of the castle in rural lodging. Excavation of a settlement context in poor materials, characterized by broken bricks and mortar hearths, overlying structures probably related to buildings connected to the walls. Excavation of a section of the ditch, to understand the extent of the outer defences of the castle. The excavation yielded a fair amount of ceramic materials, especially late medieval, but to get a more complete view of the archaeological context has chosen this year to carry out, with the collaboration of Prof. Leonor Peña Chocarro (CSIC), although the flotation samples of land from the indicative layers, with the aim to obtain material for analysis archaeobotany (especially seeds). 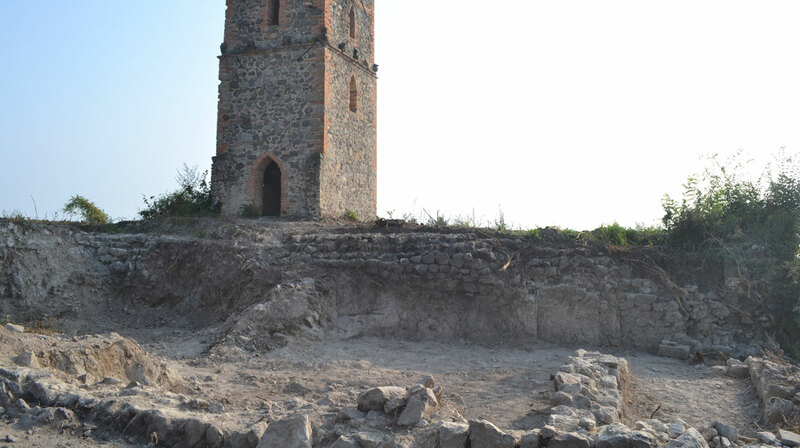 The results obtained so far are encouraging, tell of a context that has experienced many transformations and an archaeological deposit that contains a mine of information, especially on the oldest phases of the castle remain largely still to be investigated.